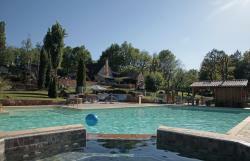 Naturist campsites in South West France - holidays in the heart of nature! Discover our selection of destinations and of naturist campsites in South West France, including some of the country's most beautiful regions. The verdant estates near lakes or by rivers are just perfect, heavenly settings for nature holidays. Spend a whole day out, go on excursions amidst wonderful and unforgettable landscapes. Quality family holidays in human-sized naturist campsites in South West France is a common goal for our institution. Enjoy it in a natural, country-ish environment that will have you regenerate, leaving aside all that is superfluous! 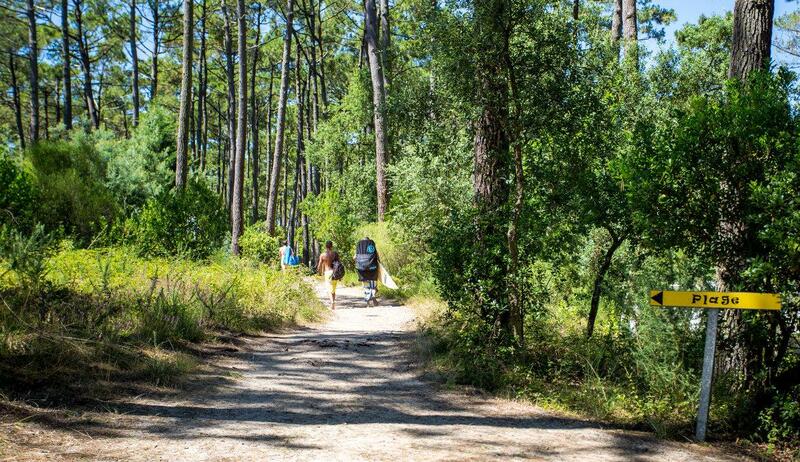 Our naturist campsites in South West France are located in the heart of a generous natural environment. Fun and swimming on your schedule every single day! Browse our selection of pitch and rented accommodation offers for holidays at a naturist campsite in South West France! 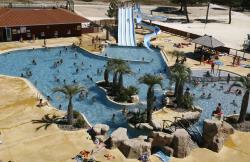 2-star naturist campsite with swimming-pool Le Fiscalou opens its doors in Puycelsi (Tarn) in sunny Midi Pyrenees. The campsite is settled at the edge of dreamy Pays de Cocagne, a beautiful green and hilly land with forests and rivers, and offers delightful naturist camping holidays in friendly South West France. 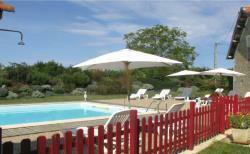 Discover Clos Barrat, naturist campsite in Lot . Located at the centre of a square composed by Cahors, Quercy, Toulouse and the Lot valley, this small naturist campsite is the perfect destination for a naturist holiday break in the South of France. Well-being and relaxation rule at Clos Barrat, in a human-size naturist campsite with pool... and a family atmosphere. Find all this in Lot, one of the best naturist destinations in the South West! 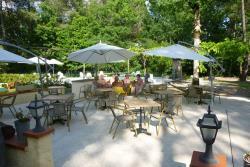 In lovely Natural Park of Causses du Quercy , 2-star naturist campsite Lalbrade opens its doors in Lugagnac in a beautiful and natural setting. The campsite with swimming-pool and sauna is settled in a large 150-acre domain with old buildings, cliffs, caves and flowers everywhere! Discover the Champ de Guiral Enjoy a naturist holiday in a privileged corner of the Lot, Gourdon, this original campsite invites you to a perfect stay closer to nature. Here you are a stone's throw from the beautiful cities of the Midi-Pyrénées for a wonderful tourist trip in the Périgord. 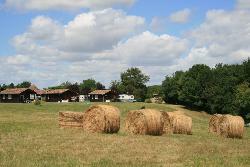 3-star naturist campsite in Midi-Pyrénées Deveze is settled in Gaudonville (Gers) in lovely and friendly South West France. Experience naturist holidays in a natural 40-acre area planted with trees, embellished with a lake for fishing and canoeing and swimming pools with a paddling pool for children. Enjoy many outdoor and creative activities with the campsite team. 3-star naturist campsite Arna Natu-Resort & Spa is located in Vielle-St-Girons (Landes-Aquitaine) in a lovely area surrounded with pinewoods. 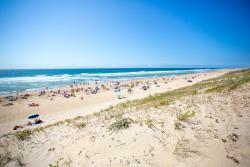 The naturist campsite boasts a first line location, being just a stone's throw from the ocean and the beach! Enjoy the aqua park, the well-being area and a direct access to the cycle trail. 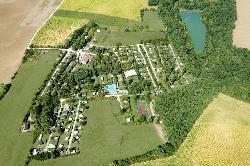 The naturist campsite also offers many services and amenities on-site. In beautiful and historic Perigord, 4-star naturist campsite Domaine de Laborde is settled in Monflanquin, in the heart of Pays des Bastides. Domaine de Laborde opens its doors on a large and green domain planted with oaks and chestnut trees with 2 naturist swimming-pools and 2 lovely lakes! This wonderful environment will please all nature lovers looking for quiet holidays!